The Pokemon Let’s Go! games have already been established as juggernauts in the game industry, selling over three million copies in a single week following their release. But when it comes to Black Friday, there was just no stopping the power of Pikachu and Eevee. Nintendo recently revealed via a press release that it had a big sales weekend during the five day event, going from Thanksgiving through Cyber Monday, making over $250 million from sold Nintendo products. At the forefront were the Pokemon Let’s Go! titles, which continued to add to their growing sales numbers. Based on Nintendo’s report, both Pikachu and Eevee sold big, with a combined total of over 1.5 million copies sold in the U.S. since launch. And they were a contributing factor to Nintendo’s overall success, as you can see from their placement in the top five best-selling brands over the weekend. This bodes well for the forthcoming December holiday sales rush, which, combined with the release of Super Smash Bros. Ultimate next week, should give the Nintendo Switch an opportunity to dominate. We’ll let you know once final sales numbers are reported in January. Meanwhile, Let’s Go! wasn’t the only Pokemon product that did well over the sales weekend. Nintendo noted that, after 12 months of availability, Pokemon Ultra Sun and Pokemon Ultra Moon both continued to perform admirably, selling over 2.2 million units. Their success, with other games, led to the total sales of 22 million 3DS units sold across its family. That’s not too shabby at all. All this bodes very well for the Pokemon brand in 2019. Not only is the live-action Detective Pikachu film, featuring Ryan Reynolds, set to be a big summer hit; but we’ve also got a “traditional” Pokemon adventure ready to debut sometime in late 2019, from the folks at Game Freak. Considering how well the previous games have sold, it should have no problem giving Nintendo repeat success with the holidays in just 12 months’ time. 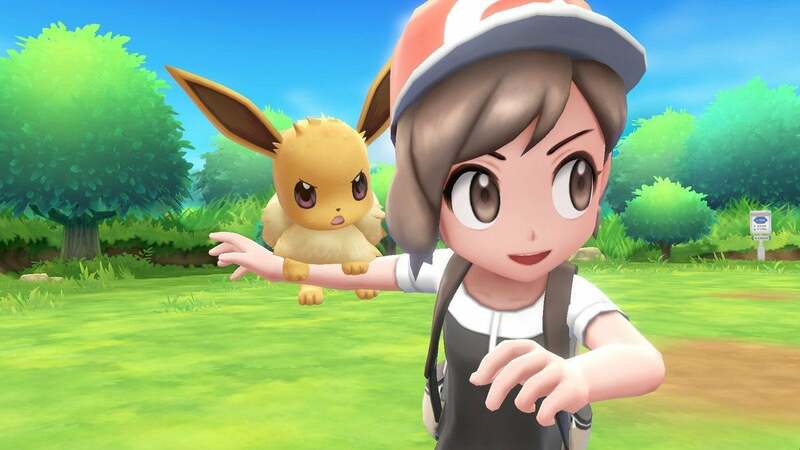 For the time being, if you want to see what the current Pokemon games are all about, you can pick up Let’s Go! Pikachu and Eevee for Nintendo Switch now. They make perfect stocking stuffers!